Computer Lab Classrooms are Evolving Spaces. We're here to help you plan your ideal lab. Interior Concepts has over twenty years of experience designing furniture for educational environments. We are helping schools design computer labs as technology and classrooms evolve. With a little direction and the proper planning you can design your ideal computer lab for teachers and students. 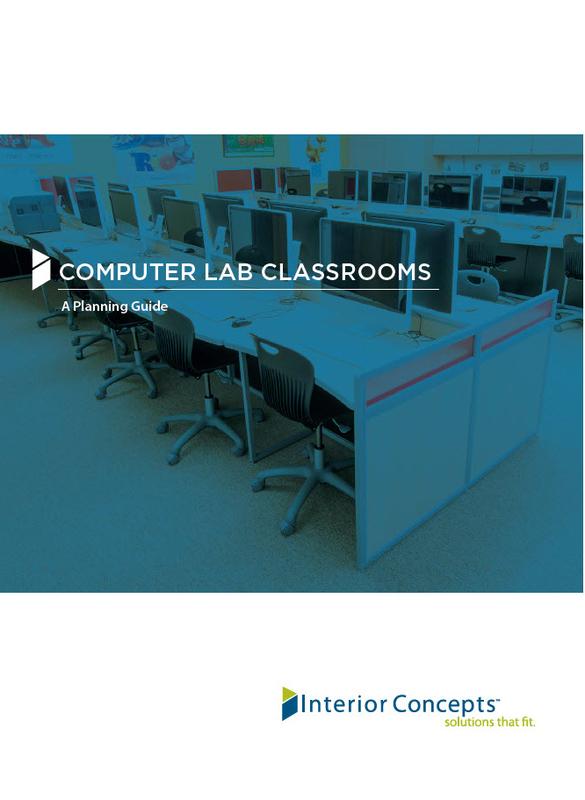 To get started download our free Computer Lab Planning Guide today. Computer labs have evolved to meet both the specific demands of technological hardware and classroom layouts required by the teachers. Have an idea size of the size of your new or existing learning space as well as how many students will utilize the space to aid in planning. As part of the planning consider whether the lessons emphasize students working independently, in groups, or both.